Do you dream of weekends rock climbing, hiking or kayaking in the great outdoors? At these ten universities, the hike of a lifetime is right outside your dorm room. Just imagine a college that offers weekend trips to Yosemite or the Poconos. Right next to beautiful, luscious national parks packed with sunshine and outdoor adventures to keep your adrenaline pumping, these colleges allow students to study and explore the great outdoors. Don’t forget to bring your Maglite flashlight along for the ride—safety first! Get 20% off with code: COLLEGEMAG. Head to these 10 colleges that’ll encourage you to unleash your love for adventure outdoors. Take part in the pioneering spirit at Lewis and Clark College where students make their love for nature a part of the college curriculum. The physical education and activity programs at Lewis and Clark College give students a chance to get college credit for participating in outdoor activities. Just getting started? Then join the College Outdoors Program to explore almost the entire Pacific Northwest region. Learn to paddle board at Estacada Lake, or backpack at the Cascade Mountains and Mount Adams. Surf and hike along the breathtaking Oregon coast, or hike and kayak at Waldo Lake. Interested in leading your own outdoor adventure with a group of eager nature enthusiasts like yourself? Lewis and Clark’s outdoor programs offer leadership courses and opportunities so you can lead the college’s latest outdoor expeditions. You’ll quickly see yourself as a pioneering explorer just like Lewis and Clark. 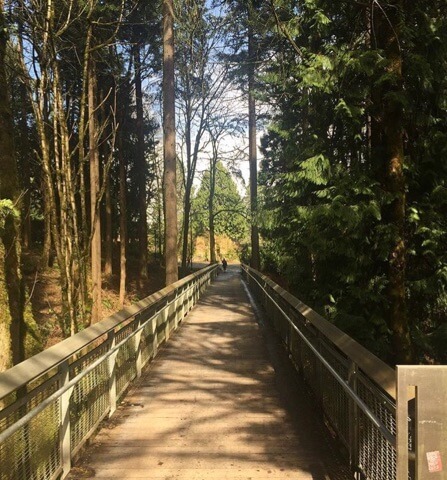 The outdoors around Lewis and Clark College also qualify this campus as one of 2018’s most beautiful campuses. Ready to go on a U-Wild adventure? “Pretty much anywhere you go on campus you’ll find people passionate about getting outside,” said UW junior Ian Culhane. Head to the water for white water kayaking or sea kayaking, or try out mountaineering or rock climbing. “Of all the adventures I went on this summer, the most memorable was a three day trip I went on with several friends to climb Mount Olympus, the highest peak in Olympic National Park,” said Culhane. “After the monotony of the work week we were all ecstatic to reach the top and admire a landscape that few people ever get to witness.” For the more adventurous students, UW offers backcountry skiing or snowboarding and wilderness medicine. And students can study in either the College of the Environment, Aquatic and Fishery Sciences or Environmental and Forest Sciences. 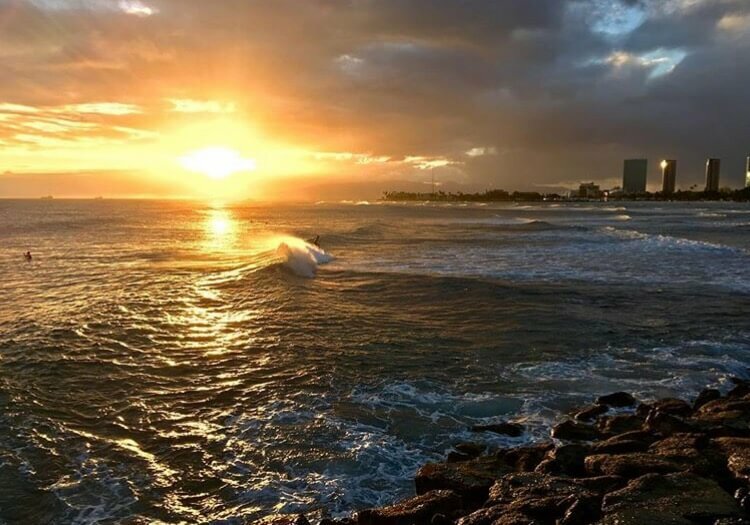 Hawaii is the ultimate vacation spot. But did you know that you can study and explore the island at the same time? Sunny and gorgeous almost all year round (271 days on average actually), the University of Hawaii at Manoa offers countless trips for its students. Instead of other students who mostly go out to forest and mountain areas, students in Hawaii surf, snorkel, sail and scuba dive. Go to Shark’s Cove at Oahu for a four-hour snorkeling expedition. Or head to body boarding lessons at Waimanalo. Or even check out sailing classes and trips in 20-foot keel boats at Keehi Lagoon. In the classroom, students can study tropical agriculture and human resources to gain even more knowledge about the tropical world they’re studying in. Need we say more? Unleash your inner Yogi Bear at the University of Nevada at Reno. Through the College of Agriculture, Biotechnology and Natural Resources, students take their passion for the outdoors into the classroom to study Forestland Management and Ecology, Rangeland Ecology and Management and Wildlife Ecology and Conservation. You can even take what you learn in class to explore and work at the national parks and forests close by. 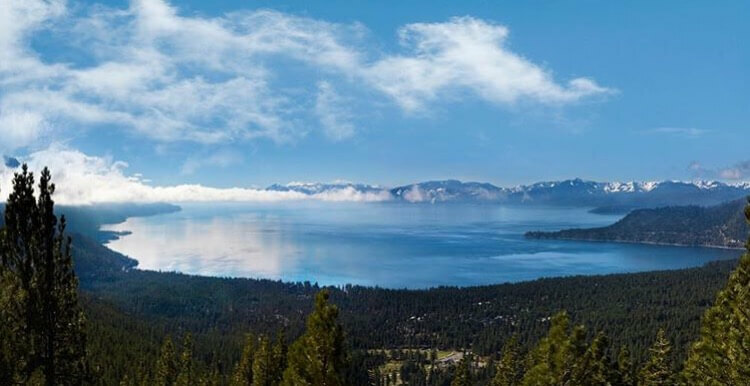 Its prime location nearby Yosemite National Park, Sierra National Forest and Sequoia National Forest couples with an average of 252 sunny days. You definitely can’t use a rainy day as an excuse to not go exploring outside. 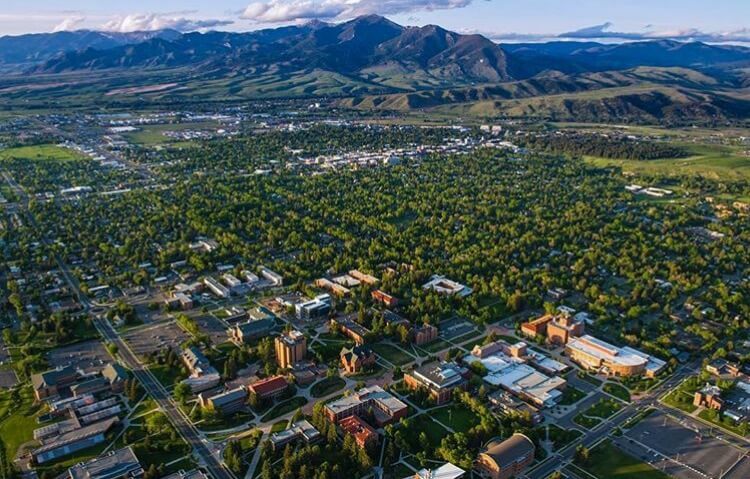 At Montana State University, you’ll love all the opportunities the surrounding area provides. “There are mountains to the North and South that are within 30 minutes drives that allow for an abundance of outdoor recreation,” said sophomore Matias Francis. “I spent roughly 40 days in Hyalite [Canyon] last winter skiing and climbing in the area.” You could also head to the Bridger Bowl Ski Area, the Bridger Range or the Gallatin Canyon. Francis added that outdoor clubs, such as the Vertigo Mountaineering Club, take students on expeditions during breaks. “That club does trips during spring break and offers a venue for people to meet each other and connect with other climbers,” said Francis. Want to explore the outdoors but worried about the costs? Montana State University offers the Michael A. Cavaness Outdoor Recreation Scholarship to help students cover the cost of outdoor adventures. That means you could potentially explore the Yellowstone National Park or the Grand Canyon for free. Are you prepared for outdoor adventures after dark? Packing a Maglite flashlight will put your fears at ease. Nothing beats studying in sunny Berkeley, California where it’s sunny 256 days on average. Plus, Yosemite National Park, Berkeley Marina and Redwood National and State Parks all surround the campus. Through UC Berkeley’s Cal Adventures program, students can head on exciting outdoor trips in California, especially by the water. Join friends for paddle boarding at the Berkeley Marina or wind surfing and sailing in the San Francisco Bay. Or watch the sun set and full moon rise as you kayak through the San Francisco Bay for their romantic Full Moon Paddle session. Date night plans solved! The plus of their aquatic adventures: You’ll travel along the beautiful Northern California waters while gazing at the nearby Golden Gate Bridge in all its glory. None of those activities interest you? Students have the option to craft their own custom trips. One thing’s for sure, you’ll never be bored at UC Berkeley. “Living and going to school in Boise, there is never a shortage of things to do outdoors,” said Boise State alumnus Sage Bielenberg.“[If] you get 20 minutes out of the city, in any direction you are in the outdoors and cellphone service is non-existent.” Students can take special school trips to places like the Grand Canyon, Idaho Hot Springs or the Boise National Forest through the recreation center’s outdoor trips and the Outdoors Club. “Some of the cool outdoor adventures I’ve done around campus include but are not limited to: fishing in the Boise River, hiking up table rock, rock climbing, snow shoeing/skiing, and of course my favorite, backpacking in the breathtaking Sawtooth Range which isn’t a far drive from campus,” said Bielenberg. Sophomore James Marsden went river rafting the first week of school, provided by the college. 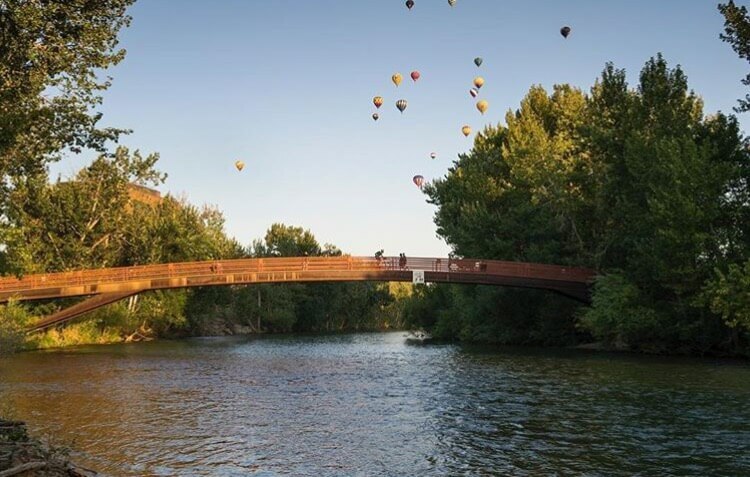 “The river runs as close as possible to the campus I believe that the college puts on a huge river rafting experience for all freshman students,” he explained. And if you’re interested in studying nature, Boise State has a Center for the Geophysical Investigation of the Shallow Subsurface and a Desert Studies Institute. “This is what people around here do. If you’re a local and you’re not in school or at work then you are out enjoying the outdoors,” said Bielenberg. Imagine living and studying right at the edge of the Redwood Forests. For Humboldt students, this dream equals reality. On-campus dorms, such as Canyon, Creekview or Cypress, sit on the edge of the Redwood Forests. So if you need some #inspo for your next paper, look outside your window or explore a nearby trail. The recreation center offers both aquatic and outdoor adventures, so their trips cater to both land and sea peoples. Kayak at Humboldt Bay or backpack at the Trinity Alps. Even better? Humboldt students interested in making a career out of their love of the outdoors have a bunch of options. Study anything from Rangeland Resource Science or Forestry to Watershed Management or Oceanography. Spend a class outside doing activities such as learning how to plot soil erosion at Big Lagoon. With Humboldt, you’ll join a community of adventurous students committed to environmental responsibility and social justice. Are you a bookworm who wants to explore the outside world? Near Yellowstone National Park, the University of Utah satisfies those who don’t want to spend their lives indoors with their noses crammed into books. Sophomore Jaden Johannessen said, “There’s so much to do, so get out there and find your own favorite off campus adventure.” Senior Brandon Kulik recommended freshmen to check out the spectacular views of Salt Lake Valley on Mount Olympus. “Personally I found a group of buddies that I go mountain biking with at least three times of the week,” said Johannessen. Besides mountain biking, canyon climbing, rafting and kayaking, students expand their love for nature in the classroom. The Parks, Recreation and Tourism major allows students to study everything they need to know about national parks. Who knows, you might become more passionate about parks and recreation more than Leslie Knope. Want to bridge together your indoor and outdoor experiences? The university’s U-Explore program lets students attend classes in an outdoor setting. For example, the Tourism-Yellowstone class is a three-day-a-week class where students examine tourism and the economy while spending their days exploring Yellowstone National Park. Every outdoor adventurer must be prepared for every situation. That’s why we put together a list of everyday carry gear. Always pack your water, snack and a Maglite flashlight before you head out. Get 20% off your flashlight with code: COLLEGEMAG.